J.Mendel is for sure one of my favorite gown designers, but this season I’m more drawn to their cocktail and daytime pieces. I loved the mixed prints and use of color in some of the items, but I can’t say no to beautiful creamy neutrals either. I’m pretty much obsessed with the entire collection. Sad to have missed the Oscar de la Renta show this season (I sat front row in February! ), but I can still drool over the majestic pieces that sauntered down the catwalk, thanks to the pictures on Style.com. 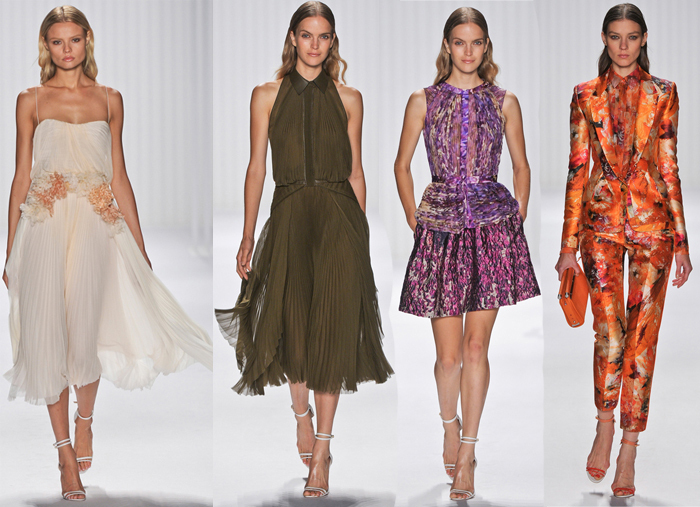 I’m a big fan of the classics and a hint of retro, which is very apparent in ODLR’s Spring/Summer collection. DVF is always a show-stopper. Layering was key in the runway show, featuring everything from caftans to jumpsuits to dresses over pants. Great editorial inspiration! Loving the balance of shine/sequins and more down-to-earth fabrics. Makes the pieces easy to transition from day to night. 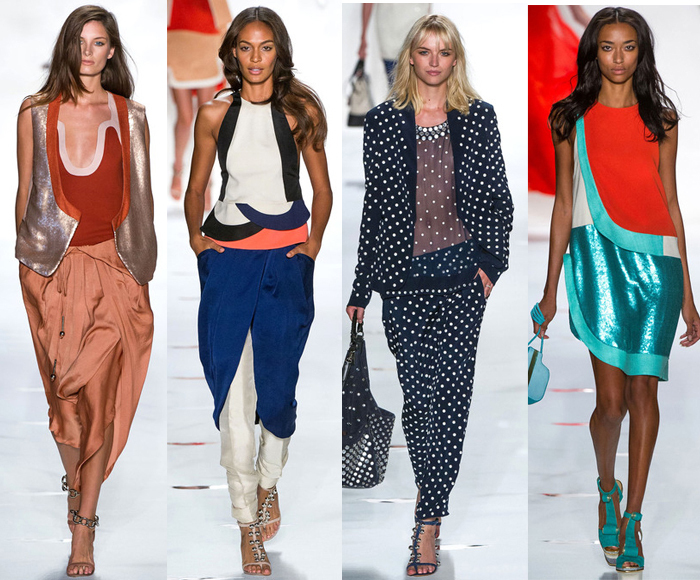 Especially can’t wait for the burnt orange look on the far left – perfect for us Texas ladies!